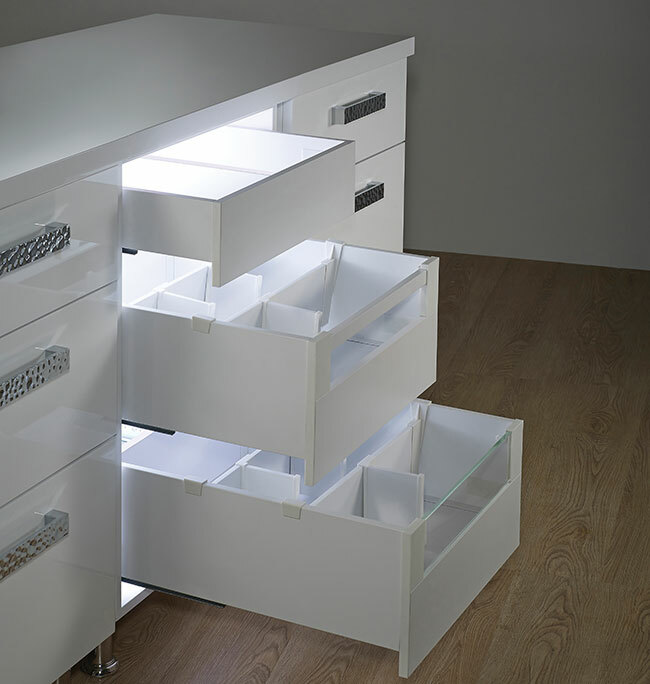 KAFF’s expanding range of built-in kitchen accessories includes the H Box drawer system. Featuring extra-long self-compensating soft close mechanism, it is offered in heights of 88mm, 171m and 203mm, and 550mm length. The legs are 550mm in length, and the weight capacity of each drawer is 30 kg. Finish available is white, and runner type is slow-motion.